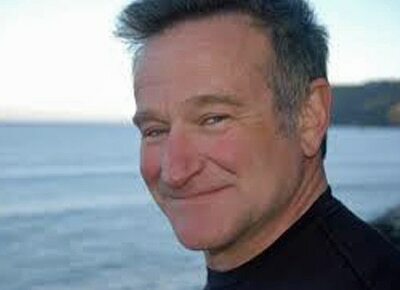 Hollywood and local stars post their message of condolences on the sudden death of actor Robin Williams. Robin Williams was found dead at his Northern Californian home on Monday (US time) August 11, 2014. "He has been battling severe depression of late. This is a tragic and sudden loss. The family respectfully asks for their privacy as they grieve during this very difficult time," the actor's representative announced. Police relayed that Robin took his own life. "At this time, the Sheriff's Office Coroner Division suspects the death may be a suicide due to asphyxia, but a comprehensive investigation must be completed before a final determination is made," Marin Country assistant Lt. Keith Boyd said in a statement. Local and Hollywood celebrities have posted their message of condolences and expressed their grief over Robin's sudden loss on social media. "#RIPRobinWilliams so heartbreaking.... thank u for the joy & laughter.... condolences, love and light to his family during this tragic time," Hollywood singer Ariana Grande tweeted. "Heartbroken for Robin Williams and his family," country-pop star Taylor Swift tweeted. “How awesome a contribution Robin Williams made to the world, that millions of people (and I) are now feeling real, deep human loss. So sad,” singer John Mayer tweeted. “Over the years, he has brought my family together thru much laughter and tears in his work. We are all so saddened by this tragic news. Sending prayers to all his family and friends. He will never be forgotten. R.I.P,” Hollywood actress Vanessa Hudgens posted. "Thank you for the smiles you put on everyone's faces, including mine. #RIPRobinWilliams," It’s Showtime host Coleen Garcia also posted. "Robin Williams may u rest in peace :) now it's Gods turn to LOL in heaven with u.. I never met u in person but I can't help but feel loss Thankyou for all the joy and creativity u brought to my imagination as a viewer.. And even as an actor! Making character voices and getting it right.. Plus I could always tell whenever it was u!! U ARE ONE Of a KInD … Thankyou enjoy up there! !," actress Denise Laurel posted. “Rest in Peace Robin Williams. I would like to take a moment of silence from all the joyful things that surround my birthday to pray for one of my idols in the movie industry. It breaks my heart to hear of his demise and to know that it is around my birthday makes it even worse. I pray that you no longer feel the pain or sadness you once had so much trouble dealing with. There is a special place in Heaven for people like you, I hope you finally find peace. I never knew you but I always admired you. P.s. You may meet my mom somewhere there, please make her laugh for me!” was Iza Calzado’s special message to the actor on her Instagram. “It cant be suicide :( He seems like a happy person.. I always say he looks a lot like my idol, Heisenberg (Bryan Cranston) definitely both respected actors in the industry. Thank you for all the joy you brought us over the years. You will be missed dearly and remain in our hearts. RIP Robin Williams,” Young actress Empress posted also on her Instagram. US President Barack Obama has also released a statement regarding the actor's demise. "Robin Williams was an airman, a doctor, a genie, a nanny ... and everything in between. But he was one of a kind,” the president said. Robin Williams was 63 years old.